Mesón la Finca Chayofa is a gastronomic speciality above Los Cristianos, located on the left on the main road towards Arona. 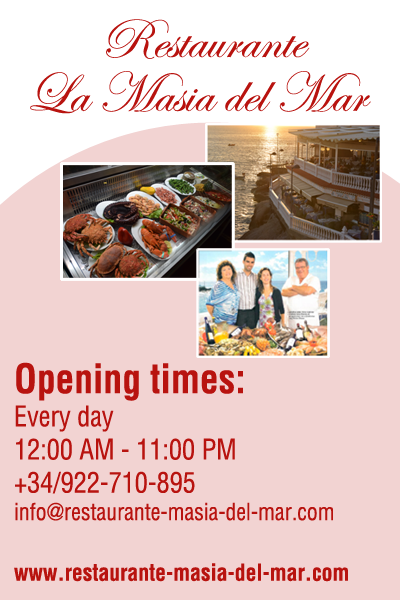 This romantic restaurant is a unique destination for Canarian grilled specialities with our own meat, fishing with our boats and our organic vegetables and fruit from our gardens. Delicious specialities are made with skilled hands from lovers of the Mediterranean cuisine – under the leadership of owner Victor – cooked on a charcoal grill. The over 100 years old Finca, with more than 300 hectares of agricultural area, is a guarantee for the quality of the cuisine and the hospitality. Tradition and quality has a name; “Mesón la Finca Chayofa” inside the elegant dining room, with about 80 seats, you are surrounded by the unique history of the Finca, with many props, which is reminiscent of the early days. The different generations show how the Finca has developed into one of the leading restaurants in the South of Tenerife. The furniture was made partially from the old trees of the Finca. The outdoor area is divided into 3 different terraces; each one of them offers their own character. Terrace 3: chill out lounge.